Residents who packed town hall were disappointed with the failure to pass a bond issue for field improvements. 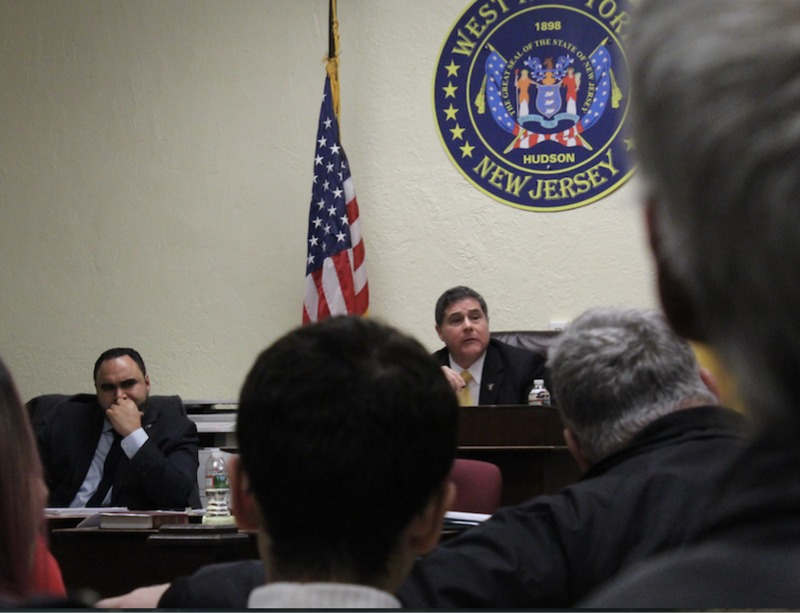 West New York’s Board of Commissioners recently cast their vote on a $3,950,000 bond issue. Roughly $1.7 million of it would have gone toward renovating Miller Stadium. The rest would have gone toward renovations on McEldowney Field and Centennial Field, as well as improvements to the roof of the DPW building. According to Commissioner Cosmo Cirillo, West New York secured $1.5 million in grant funding from county and state departments to offset costs of renovating the park. Cirillo said the field was in need of repair; he was one of many residents who considered it unsafe to play or practice on the field in its current condition, noting that the town’s high school athletics programs have moved their activities away from the field. Dozens of residents attended a recent board meeting; every resident who addressed the board during the hearing on the bond issue favored its passing. Commissioners Gabriel Rodriguez, Cosmo Cirillo, and Margarita Guzman voted in favor of the resolution, each citing that it took more than a year to secure the $1.5 million in state and county grants for the improvements. Commissioner Susan Colacurcio abstained from the vote, noting that voting in favor of the bond issue would have been a conflict of interest. Colacurcio is a board of education member; there was a shared services agreement for the project involving the board of education. The deciding vote was left to Mayor Felix Roque, who also abstained. With four votes needed, this prevented the bond issue from passing. Rodriguez said that the postponing of the vote could put the county and state grant funds toward the project in jeopardy. Cirillo said the field’s repair is an inevitable need, and that Roque’s abstaining from the vote, and pushing the project back a few years could add millions to the cost of repair. Throughout the open public comments portion of the meeting, residents unilaterally voiced disappointment with Roque’s decision to abstain from the vote. Several residents compared Miller Stadium to other township fields in Hudson County, and said West New York was the only Hudson County municipality that didn’t have a public field with artificial turf. Commissioner Guzman, who was involved in drafting the plan, said, “I’m so disappointed with Mayor Roque’s vote and his refusal to do the right thing for our children.” She attributed a “political grudge” to the mayor’s refusal to sign off on the bond issue.